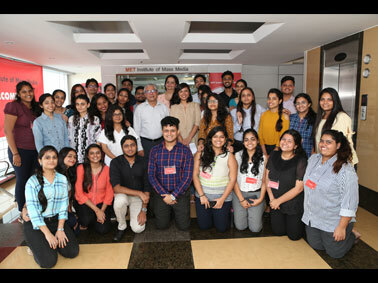 Ms. Aditi Singh, Communication’s Lead, The Viral Fever (TVF), delivered a lecture on the marketing aspects of online platforms to Post Graduate Diploma in Advertising, Entertainment, Journalism and Digital Marketing students at MET Institute of Mass Media. She spoke on how to promote women centric content on online platforms, and also explained the difficulties which current content makers face regarding many sensitive issues on these platforms. 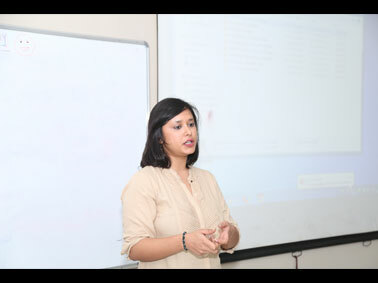 She taught PG students of mass media on how to collaborate with various brands for different campaigns. She provided several case studies of campaigns which produced spectacular awareness and revenue for different clients. Held on 09 August 2018, the session helped students gain invaluable insights into the current digital industry.